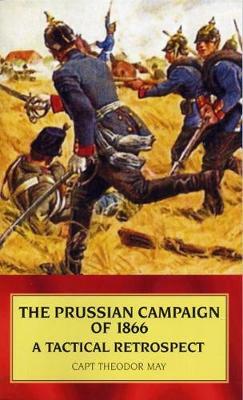 The Prussian Campaign of 1866, a Tactical Retrospect is one of the scarcest titles to have appeared in English concerning the Seven Weeks War, and certainly one of the most worthwhile. This book spawned quite a controversy at the time of its publication (1869 in Germany, 1870 in an English edition), and even several follow-up books (which Helion plan to reprint later in 2006). During the campaign, the author served as a General Staff officer with the Prussian II Army Corps, fighting at Gitschin and Koniggratz. Throughout his career he was widely respected as one of the finest members of the Prussian General Staff, an intelligent and energetic officer. The translator of the English edition cannot be bettered when he writes of it as describing "...the war experiences of the Prussians in 1866...written in a truthful and courageous vein, the author speaking out very plainly, and never seeking to hide the shortcomings of his countrymen". Some of the sections in the book include: general characteristics of the battle, founded on the results of 1866; fixed regulations and their modification; on the battles of 1866 with regard to the cooperation of the several branches of the Service; on several propositions towards paralysing the action of the breech-loader; the influence of the artillery in general, and its action in the Campaign of 1866; on the action of the Cavalry in 1866; on the Battle of Trautenau; and more. It also includes a new introduction, describing the author and the controversy his book generated. Note that this book is not a pamphlet, but a professionally typeset paperback.